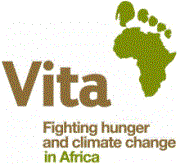 Vita/RTI is foreign registered charity organization under Reg # 0839 and implementing agriculture and livelihood projects in five rural woredas of Gamo Gofa zone, Konso woreda rural kebeles, Hammer and Dasenech woreda rural kebele of SNNPR. We are on preparation to implement agriculture and livelihoods development project entitled “Improving Smallholder Livelihoods and Resilience in Arbaminch Zuria, Mirab Abaya and Bonke Woreda of Gamo Gofa Zone, SNNPR through Climate Smart Agricultural Economic Development” in Gamo Gofa Zone. This project is funded by the Embassy of Ireland.